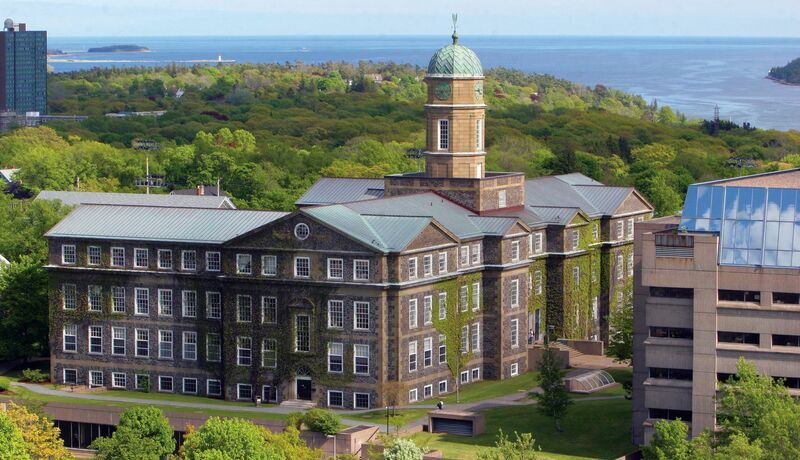 Founded in 1818, Dalhousie University is the largest university in Canada’s Maritime provinces and is among the top 15 research universities in Canada, offering over 180 degree programs. It is located in Halifax, Nova Scotia which has acted as an ocean port gateway to the country since 1749, and in Truro, Nova Scotia. Our Esri Canada Centre of Excellence (ECCE) is connected to one of our long time partners, the Nova Scotia Community College Centre of Geographic Sciences in Lawrencetown. Geographic information science pervades the academic and research programs at the university. It underlies elements in Dalhousie’s strategic focus on ocean studies, best featured in the International Ocean Tracking Network, as well as key foci in health and climate research. It contributes to the university’s major in the environment and sustainability that cuts across all faculties of the university as a multi-disciplinary major. GIS informs studies at both the graduate and undergraduate level in areas that include agriculture, environmental science, earth science, international development, planning, community design, and resource management. Geographic information science has become a focus within a GIS certificate program, a new major in geographic information science and technology to be offered through the Faculty of Science, and a soon to be implemented graduate certificate in Spatial Analytics. The GIS Centre located in the Killam Library is the hub for geographic and spatial analysis at Dalhousie. The Centre manages Atlantic Canada’s largest map and atlas holdings, and provides a variety of support for Dalhousie students and staff, including: geospatial data analysis, assistance in data manipulation, extraction and analysis from a variety of data resources, as well as cartographic consulting. The ECCE supports several research groups at Dalhousie. One group located in the Marine Affairs program under the direction of Dr. Claudio Aporta is focused on the geographic representation of indigenous environmental knowledge (e.g. https://sikuatlas.ca/index.html). A second research group, the Geo-Health Research Unit (GRU), is developing a new online health atlas for Nova Scotia. The atlas will include data, maps and analyses of health determinants and care, health behaviours and health outcomes. A third group supported by the ECCE resides in the School of Planning under the direction of Drs. Patricia Manuel and Eric Rapaport. Their research focuses on the spatial impact and vulnerability assessment of interactions between the built and the natural environment. The research has covered transportation system modelling and air quality assessment, vehicle wildlife interactions, and climate change and community planning. Dalhousie publishes their newsletter Layers twice annually, highlighting activity and resources at the school related to GIS, including their participation in the ECCE program.